Emulation II, Other Virtual Synth from UVI. 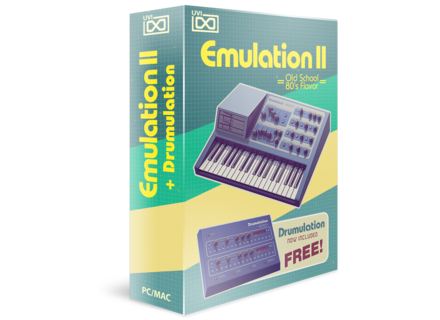 Emulation II features a set of instruments to reproduce music from the 80s, from warm digital sounds to analog-ish textures. UVI say they adopted a hybrid approach to create these sounds, combining multi-sampling and modeling tools (analog filters, LFO, envelopes, etc. ), inspired by the original machine and enhanced with modern audio processing and script technology. 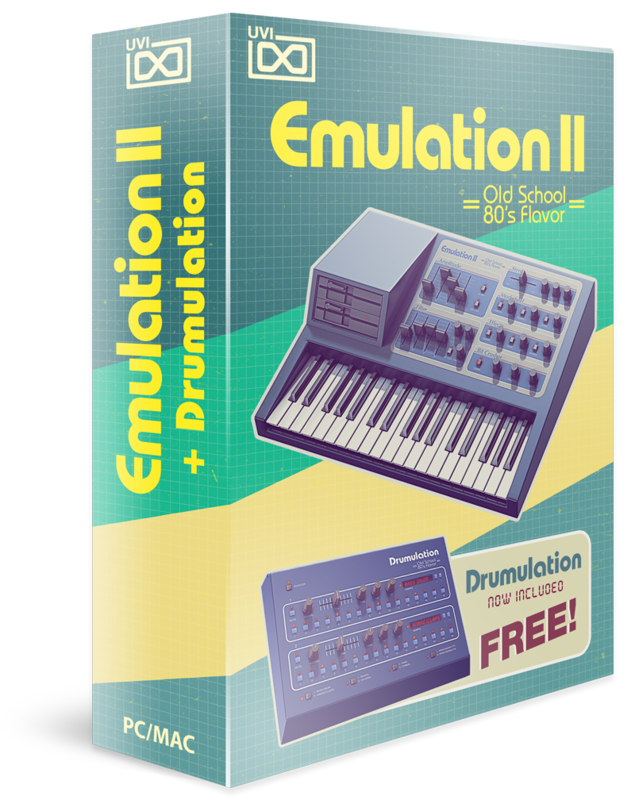 With 250 sounds and editing tools, Emulation II enables you to create spin-offs with options of sounds and tones. Sounds were recorded from the restored instrument, with analog and digital gear. Besides, hundreds of sounds and instruments are included: drums, bass, bells, choir-voices, fretted instruments, FXs, keyboards, mallets, percussion, synths, strings, orchestral hits and more. Also included is Drumulation: an utter beatbox with step sequencer from the eighties, loaded with 500 drums and percussion sounds. as a VST, AudioUnit, RTAS and MAS plug-in. iLok required. With MachFive 3: make the most of all the editing features offered, like unlimited FX by part. UVI will be present at the Big Fish Audio Exhibit Space (Hall A - 6514) for demos of every UVI instruments and soundbanks. For more details, check out blog.uvi.net/sounds-instruments/emulation-ii-launch-new. AAS Chromaphone Update Chromaphone has been updated to v1.0.2. [NAMM] New Eventide Plugins Eventide are now shipping their (remarkably affordable) plug-in range for native formats: VST, AU, Pro Tools AAX. [NAMM] IK Multimedia iRig Mic Cast IK Multimedia presents iRig Mic Cast, a portable voice recording microphone.